Today I wanted to share how I took one of those posts and applied it to my space. This particular post was about how to add color to a space without the commitment of paint. This is definitely a dilemma that many renters face. But these tips can also be applied to homeowners who are commitment-phobic or who just like to switch things up every once and a while. And since many apartments (and homes) are builder beige, finding an easily reversible way to bring in color is always important. The first tip shared in the post is to add large scale art. This is one of the best ways I have found to liven up any space. I love to add large scale artwork to a boring space. Not only does it bring in color, but it gives people an instant insight into your personality. 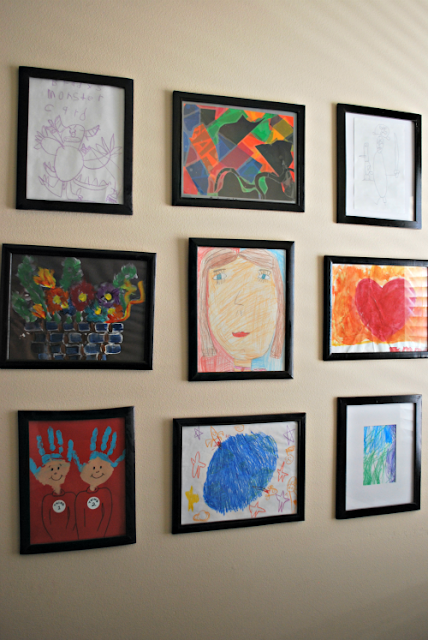 The next tip from this post which I use in my own home is to have a gallery wall. Now, in the post they actually suggest using scrapbook paper. That's a fabulous suggestion! But I would take it a step further and say to use any sort of colorful artwork. This gallery wall of my kiddos' art goes a long way toward adding both color and interest to the loft space in our house. Some of the other great tips that they offer are to used large fabric-wrapped canvases (easy and inexpensive), folding screens or framed wallpaper. Any of these easy-to-implement tips will add both color and personality to a space and will go a long way toward making a space your own. Today, the good people at Apartment Guide have generously offered to give one reader of the Shabby Nest a $100 Amex Gift Card. To enter simply go to the Apartment Guide blog and find a post that gives tips on decorating...then come back and leave me a comment with a link to that post and you'll be entered for a chance to win. The drawing will remain open until Tuesday, July 3 at 11:59 MST. I will announce the winner on the blog later in the week. 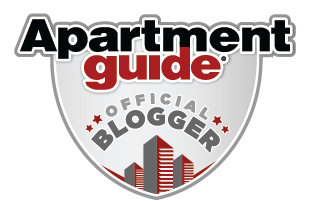 · Whether you're living, looking or moving, Apartment Guide offers how-to tips for making the most of a space on http://www.apartmentguide.com/blog/. I LOVE this one-I think I'm gonna try it! I enjoyed this post, as I've used the cottage theme to decorate our bedroom / bath / laundry area. Reading the article reminds me to add a masculine touch to the room, which I hadn't thought about before. DH seems to enjoy the room, but I'm thinking a comfy leather chair would make him even happier. I like that idea. 8 home decor mistakes to avoid. Always read things like this- got a kick out of "it is never stylish to have a fuzzy toilet lid cover" ! I like this post- Say Yes to Less with Minimalist Decorating Tips. I could have used these tips when we were in an apartment. I liked the Spring 2012 Decorating Ideas post. I like the idea of the rosettes and I think that would be a great addition to add dimension to the gallery wall in my girl's room. I love the record bowl and animal bookends from "Get Creative with Frugal Décor Ideas." I found the "8 home decor mistakes to avoid" very interesting. Great giveaway!! 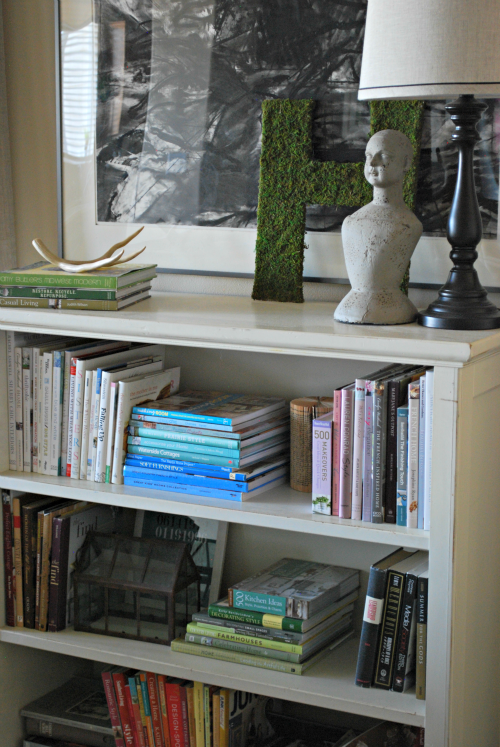 I liked the article about how to be creative with frugal decorating! Using the color wheel to decorate. I enjoyed reading How to Do Floral Decor Without Overdoing It. I found the article on the color wheel really helpful. I love repurposing curb finds..shopping in thrift stores and garage sales. It's so much fun to turn "gaaaah!" into "gorgeous". Not only that, but you end up having something unique that no one else has. I read an article about the using the color wheel to decorate in the home. I need to learn to do that a little better!!! Color is intimidating. Floral Decor without overdoing it, I love floral!